Maharishi Mahesh Yogi (Sanskrit महर्षि महेश योगी maharṣi maheśa yogī; 12 January 1918 – 5 February 2008), was born Mahesh Prasad Varma and obtained the honorifics Maharishi (meaning "enlightened spiritual one") and Yogi as an adult. He developed the Transcendental Meditation technique and was the leader and guru of a worldwide organization that has been characterized in multiple ways including as a new religious movement and as non-religious. Maharishi Mahesh Yogi became a disciple and assistant of Swami Brahmananda Saraswati, the Shankaracharya (spiritual leader) of Jyotirmath in the Indian Himalayas. The Maharishi credits Brahmananda Saraswati with inspiring his teachings. In 1955, the Maharishi began to introduce his Transcendental Deep Meditation (later renamed Transcendental Meditation) to India and the world. 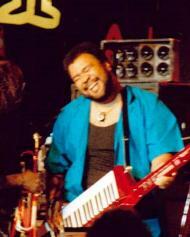 His first global tour began in 1958. His devotees referred to him as His Holiness, and because he often laughed in TV interviews he was sometimes referred to as the "giggling guru". In the late 1960s and early 1970s, the Maharishi achieved fame as the guru to The Beatles and other celebrities. He started the TM-Sidhi programme, in the late 1970s that claimed to offer practitioners the ability to levitate and to create world peace. The Maharishi's Natural Law Party was founded in 1992, and ran campaigns in dozens of countries. He moved to MERU, Holland, near Vlodrop, the Netherlands, in the same year. In 2000, he created the Global Country of World Peace, a country without borders, and appointed its leaders. In 2008, the Maharishi announced his retirement from all administrative activities and went into silence until his death three weeks later. 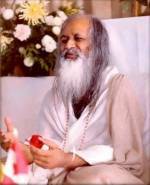 The Maharishi is reported to have trained more than 40,000 TM teachers, taught the Transcendental Meditation technique to "more than five million people" and founded thousands of teaching centers and hundreds of colleges, universities and schools, while TM websites report tens of thousands learned the TM-Sidhi programme. His initiatives include schools and universities with campuses in several countries including India, Canada, the United States, the United Kingdom and Switzerland. The Maharishi, his family and close associates created charitable organisations and for-profit businesses including health clinics, mail-order health supplements and organic farms. The reported value of the Maharishi's organization has ranged from the millions to billions of U.S. dollars and in 2008, the organization placed the value of their United States assets at about $300 million.